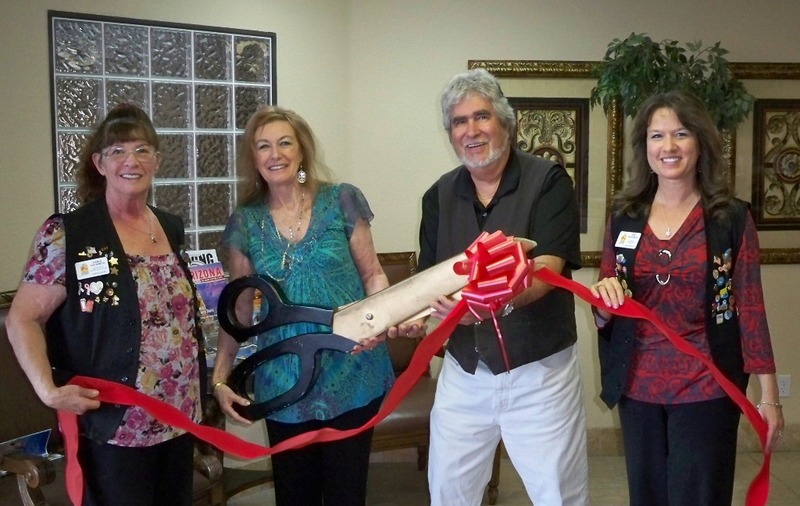 The Lake Havasu Area Chamber Ambassadors held a ribbon cutting ceremony for Sumaris Center, celebrating its new membership with the Chamber. Attending the ribbon cutting from left to right were Linda Sugamele, Margaret Rogers Van Coops, Ph.D, DCH, Stephen M. Van Coops Ph.D, DCH and Amy Sugamele. 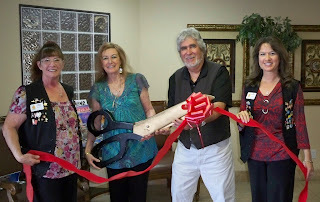 Sumaris Center teaches complementary and alternative healing treatments. Dr. Steve Van Coops manages the business from their Lake Havasu City home while Dr. Margaret Van Coops conducts courses and seminars in Japan and England. Both are available for private counseling sessions and offer crystal acupuncture and teragram therapy healing. For more information contact them at 928-453-7974.